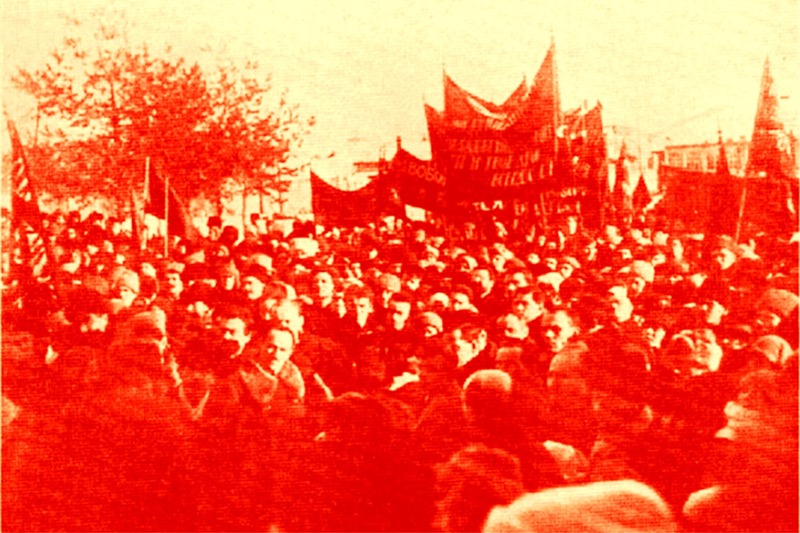 The anniversary debate on the October Revolution usually remains trapped in the context of a sterile, dogmatic and often self-assertive gesture of the various ideological-political trends claiming or rejecting the October (or part of the October) legacy. Critical thinking and practice find difficult to reflect on a revolutionary period that has been catalyzing to shape the modern world. Certainly there are significant contributions to this direction, but overall what seems to be dominating is, on one hand, sanctifications, mechanical replication, undeniable faith to different political dogmas, or on the other hand, its uncritical rejection. In such a climate, important and critical aspects of the Russian revolutionary process, as well as its opposition and reversal, remain in the dark because they do not fit into the “established” narratives. As the burden of these narratives falls on parties and organizations, “holy” or “abominable” factions, state policies and geopolitical controversies, the enormous social movement of the millions of revolutionary protagonists as well as their original creative agency, but also their contradictions and the dramatic dilemmas they faced, they have not been adequately pointed out. The “preface” of this movement and the “rhizomes” in the Russian history that have allowed this innovative “blooming”, remains underscored. Focusing therefore, on the history from below, on the dilemmas the protagonists confronted as well as on the solutions they devised, on the deadlocks they encountered as well as on the obstacles they could not overcome, we want to contribute, with this Congress, to a topical reflection on critical questions related to the October Revolution. 7.Gender and identity issues during the transition. The conference is organized by a committee of academics and activists. These are not attributes of critics of the October revolution. what seems to be dominating is, on one hand, sanctifications, mechanical replication, undeniable faith to different political dogmas, or on the other hand, its uncritical rejection. Critics do not uncritically reject October even Conquest etc. Only a few monarchists could be said to uncritically reject it. What aspects remain in the dark. I think it has been done to death. What established narratives? Anarchist ones? Stop watching Eisenstein. What happened to Bogdanov? How many votes did parties get?